When it comes to forklift transport, the task is no small feat! Select Tilt Tray Group are undeniably the best team for the job – we will do all the heavy lifting for you. Apart from picking up the phone and contacting us, you will barely need to lift a finger! 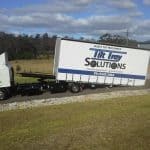 Select Tilt Tray Group have specialised in forklift transportation in and around Sydney for the past 20 years. Our reliable crew of expert drivers are fully licenced to drive and operate forklift units of any size. 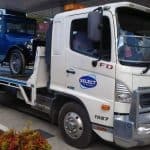 We have a fleet of tow trucks that have specially built low riders that are perfect for transporting extra high units. We also have heavier trailers available for moving oversized units. Our range of services includes forklift hire and forklift storage. Forklifts can be stored in our secure Kirrawee warehouse for as long as required. Just let us know if you are interested in these services and we will happily make any necessary arrangements for you. 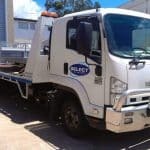 At Select Tilt Tray Group, we understand the intricacies required to transport expensive forklift and industrial equipment. 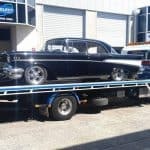 Should anything go wrong, we are fully insured for any vehicle we move, so there is no need to worry. We take our duty of care seriously, and we always strictly adhere to legal and safety regulations when relocating your forklift and machinery. At Select Tilt Tray Group, we pride ourselves on being leaders in the forklift transport industry, and strive to provide the best possible service and customer experience. 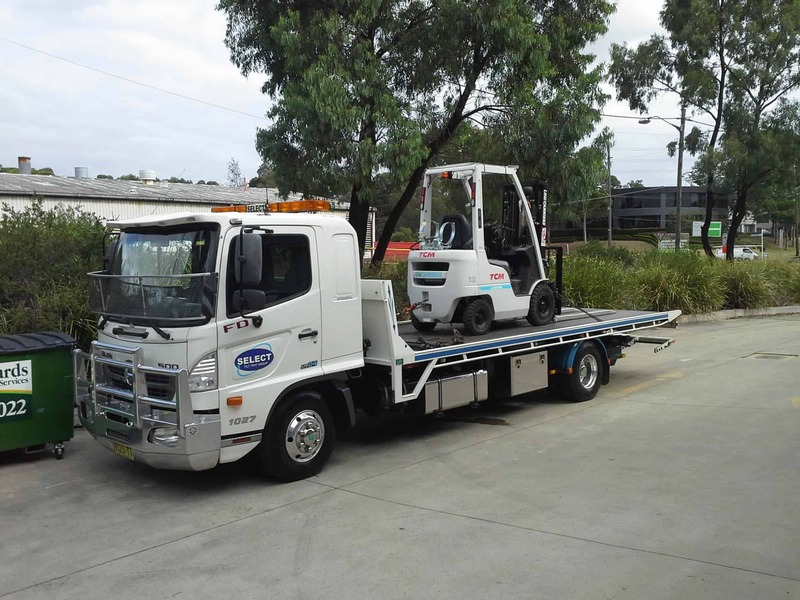 We will go anywhere for our customers, and will transport your forklift anywhere in Sydney at the best possible rate. Acceptable forms of payment include Visa, MasterCard, cash or EFT. Payment can be made either at the time of your job booking, upon pick up or delivery. 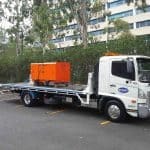 So if you have a forklift that needs to be transported anywhere in Sydney – call Select Tilt Tray Group today on 02 9545 3464. We will always find a solution that suits your needs and budget.